Patients registering with the practice are asked to attend the surgery to complete and submit the necessary paprwork. An NHS Medical card or proof of identity and residency will be required. The practice does not accept patients living outside the practice area... see the "Practice Area" tab below for details. Please tell us if you are a “Carer” or are “Cared for”. All new patients registering with the Practice are invited to attend a free check at a later date. A member of the nursing team will perform the check. Please book your appointment for this check when you submit your registration application. New patients may express a preference to see a particular doctor and this should be made known to the receptionist. Patients may be asked to see another healthcare professional if for any reason they cannot be seen by the doctor of their choice. Please ask at reception if you require further advice. If you wish to register as a new patient, click on the link below to open the form. When you have completed all of the details, click on the "Send" button to mail your form to us. As part of the registration process, you are asked also to fill out a medical questionnaire. This is because it can take a considerable time for us to receive your past records. Click the "Send" button to mail the form to us. Please note: It is essential for your registration that you complete both forms! In case you need information in braille, large print, easy read, British Sign Language interpreter or advocate or perhaps we can support you to lipread or use a hearing aid or communication tool please fill out the form below to. All adult patient may book GP and blood test appointments in advance and request regular monthly medication online. If you would like to take advantage of these services, click on the 'Online Access' tab above read the instruction and complete the registration form. Note that by sending any of these forms you will be transmitting information about yourself across the Internet and although every effort is made to keep this information secure, no guarantee can be offered in this respect. APPOINTMENTS: The practice currently offers patients’ facilities to book, view, amend, cancel and print appointments online. PRESCRIPTIONS: The practice currently offers the facility for all patients to order online, view and print a list of their repeat prescriptions or medicines and appliances. SUMMARY CARE RECORDS: The practice currently offers the facility for all patients to view some of their record online. This includes current medication , allergies and sensitivites. Parents are able to have a username and password for their children under 16. When a child turns 16 access will automatically cease and the child will then need to apply themselves. The registration is simple - Registering for SystmOnline Form.pdf Complete it, sign it and bring it to the Practice along with two types of documents to prove your ID. One of the documents has to have a photo of you and the other will have to show your address. (Acceptable documents are Passport, Driving License, Bank statements etc. but not bills). Please be aware that for security reasons, we are not able to do this initial step over the telephone or by e-mail as we cannot confirm the identity of the caller / writer. This is so that we can verify that the login details are being given to the correct patient. Before you can use our Online Service you will need to be able to access a PC with a web browser such as Internet Explorer and have a connection to the internet. 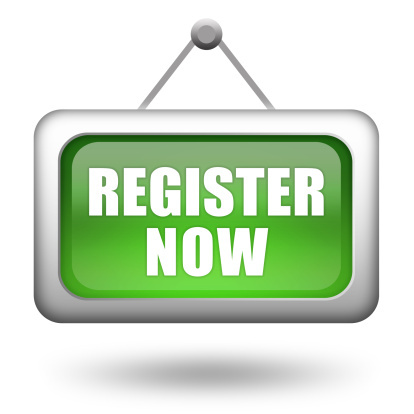 You must also register with the practice and sign a registration form before you start using the system. Before you sign the registration form you should be happy that you understand what the system does, what your responsibilities are and how your data is stored. When you are happy with this you should consent by signature and hand the form to one of our receptionists along with two forms of ID as mentioned above. To help you better understand your responsibilities about keeping your records safe please visit and read the links below. Once you have signed the consent form and your ID verified you will be issued with a username and password that will allow you to access the system from any computer, IPhone or android mobile phone. Please note: It might take a few days to process your request. Your username and password will be posted to the address we have on your file. Processing access requests for Detailed Coded records might take a little longer. You must ensure that your log in details are kept safe and secure and not shared with anyone else. Any data held by the practice concerning you is subject to the regulations laid down in the Data Protection Act (1998). When you have your username and password to hand visit the following link to complete the registration process or click on the logo below.